Whether it's a sweet set of pearly white teeth and deep dimples, comedic charm you can't ignore, or a smooth accent, there are certain traits that make you think that pop stars are wonderful people. But the truth is, some of the most successful and famous stars on the planet are big ol' meanies — allegedly. While we are all human and have our moments, there are some musicians that might actually be awful to the bone. Just check the headlines. There have been more than a few occasions where stars have reportedly been extra mean to their fans. Other times, they've made the news for alleged abusive or concerning behavior. And then there are those who have dished the dirt on themselves with their very own mouths. We're telling you — there are more musical jerks out there than you may realize. From an R&B icon to the self-proclaimed "Queen of Rap," here are nine respected pop stars that actually seem like terrible people. Contrary to popular belief, Chris Brown is not a ladies man. Rihanna drama aside, he has quite a reputation for mistreating women, like, say, the time he allegedly ambushed his ex-girlfriend Karrueche Tran in 2015. According to E! News, Brown noticed Tran and her friends partying at a club and decided to purchase a table directly next to the group. This reportedly made Tran leave (because no one wants their ex interrupting the hunt for potential baes), but Brown "followed her into her car" and refused to get out, even threatening those who tried to intervene. Though he did eventually get out and leave the scene, he hasn't left that kind of behavior behind. In 2016, Brown allegedly went on a "violent rage" against a woman at his home and wound up pointing a gun at her. According to the Los Angeles Times, the drama started when the woman was "admiring [Brown's] jewelry." Another man who was present supposedly "told [her] to back away … and started cussing [her] out and calling [her] names," the woman told the publication. Then, she said, "Chris pulled his gun and told [her] to 'Get out.'" 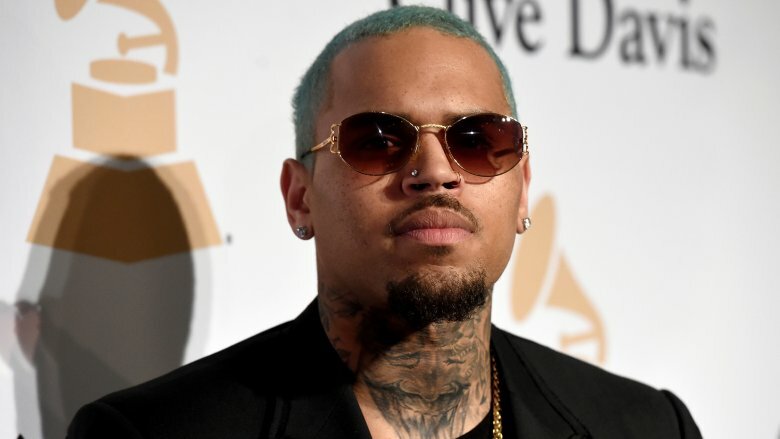 The police were called and dispatched to the home, but Brown refused to let police in, leading to an hours-long standoff that ended with the singer under arrest. The funny thing is, he said he was a "changed man" after the Rihanna incident, but he's certainly having a hard time proving it. Britney Spears, Kelly Osbourne, The Wanted and a string of others have been telling us about Christina Aguilera's apparent true colors for years. Heck, Aguilera has even shown them herself, from throwing gum on her fans, to chastising someone for interrupting her interview, saying to the off-camera offender, "Coughing during my interview, really?" Though she gave a playful laugh after making the comment, Aguilera followed up saying, "Shoot him!" What you probably didn't know is that she's said to be absolutely horrible in her personal life, too. In 2016, an insider told OK! magazine that Aguilera is "incredibly rude and demanding" and "treats her household staff terribly." Apparently, she keeps her team on a tight "24/7" schedule in case she needs them. "She has no problem waking up a nanny or maid for the most menial tasks," the source continued. "She's even called a staffer from the other end of the house to get something like a towel that was mere feet away from her!" Yep, Justin Bieber's boy-next-door image is pretty much a facade. The "Love Yourself" singer admitted to Vogue in February 2019 that his (since-reformed) hard-partying ways led to a "pretty dark" period of his life that included drug abuse and disrespectful treatment of women. According to VICE's Fightland, there was also an embarrassing stretch of years in which Bieber talked a lot of trash and got into scuffles with fellow celebs and their entourages. And don't even get us started on his March 6, 2014 deposition, of which TMZ described him as being "arrogant," "contentious," and "disrespectful." It was so bad, Ben Glass Law called it "a perfect example of what NOT to do during a deposition." But perhaps worst of all? 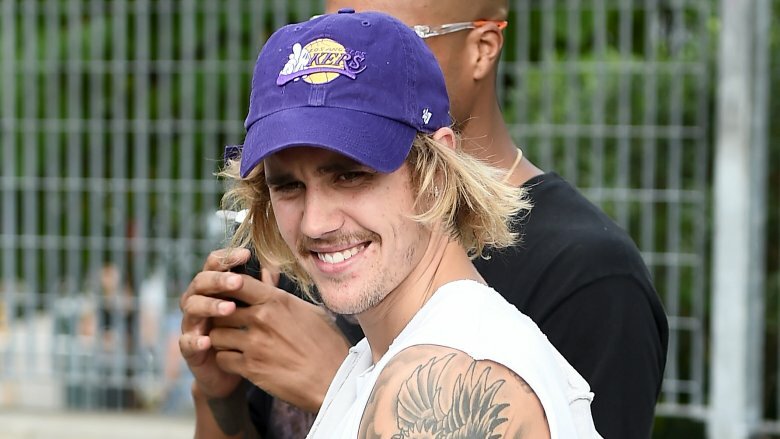 Bieber reportedly isn't even nice to his fans. While hanging in Australia in 2013, for example, Bieber reportedly verbally abused a bikini-clad woman, calling her a "beached whale" and telling her that she "should go on The Biggest Loser," per News.com.au. The confrontation was so harsh that all spectators could do was sit back in silence. Meanwhile, the woman was reportedly so hurt by Bieber's alleged comments that she was "almost in tears." Mix that moment with the time he allegedly spit on his fans from a balcony (which he denied) and the time he admonished fans who had paid hundreds to see him in concert simply because they wouldn't stop screaming, and you've got one terrible dude. It's a shame, because the Biebs can sing. What kind of 'Queen' behavior is this? Nicki Minaj told us she was a "monster" in 2010, and in 2018, she sort of proved it. That year, the "Super Bass" rapper unleashed the Barbs on her critics, and it got really ugly. In August 2018, she sicced her fans on a Billboard writer who reported on the cancelation of her co-headlining tour with Future, called NICKIHNDRXX tour. In reality, the event had actually just been rescheduled, according to The Fader. "Barbz get me the name of this writer then hit them & tell them this is one black woman they will not bully into a corner by FRAUDULENT SHAMING TACTICS," Minaj wrote on Instagram. There was a similar situation that happened in July 2018, when Wanna Thompson, a freelance writer, offered her thoughts on the direction Minaj should take musically. "You know how dope it would be if Nicki put out mature content? No silly s**t. Just reflecting on past relationships, being a boss, hardships, etc. She's touching 40 soon, a new direction is needed," she tweeted. 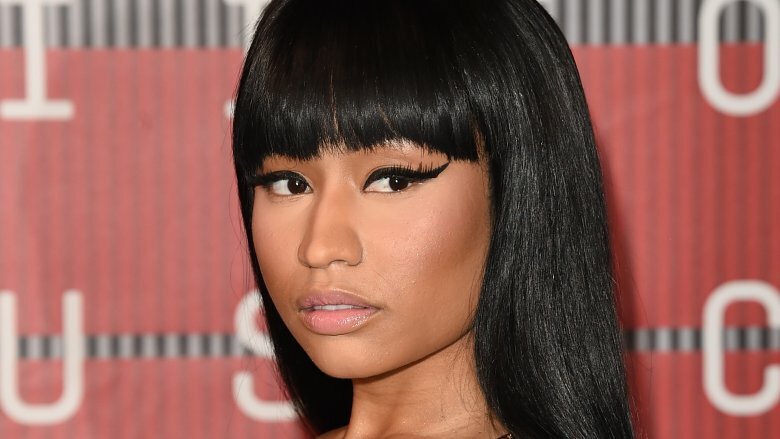 In response, Minaj called Thompson "ugly" and a "h**." Though Minaj didn't send her fans to attack the woman, she didn't step in to stop them once they did. "They bombarded Thompson's Twitter, harassing her with vicious and derogatory insults," reported Newsweek. According to the New York Times, this made Thompson lose an internship and had her considering therapy. 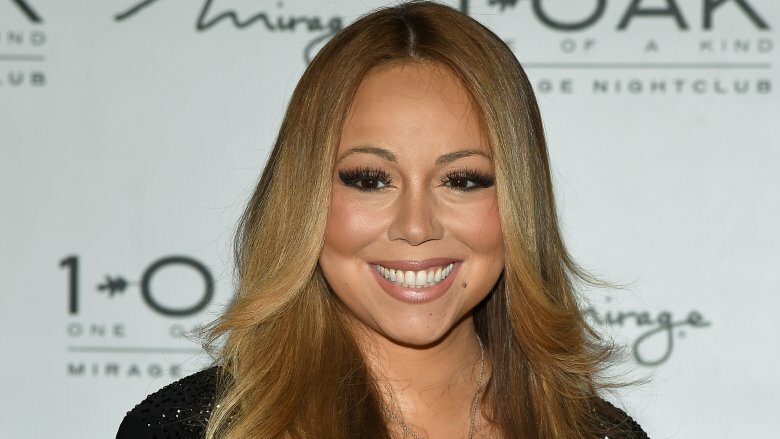 Mariah Carey is a true bad girl, and we don't mean this in a good way. She has earned herself a bad reputation for diva behavior that includes having people push her around in chairs and a list of demands on her tour rider that's so ridiculous it includes the installation of "gold faucets" and brand new toilet seats in her hotel suite prior to her arrival (per The New York Post via NBC News). To make matters worse, there have been times when she allegedly underpaid her staff. Carey's colleague Cedric Yarbrough spoke up in a since-deleted Facebook post (via Essence) about her outlandish antics, describing the "Touch My Body" singer as "unprofessional and borderline abusive." Even her own family members have had nasty things to say. In 2016, her brother told The Sun that Carey refused to help their HIV-positive sister Alison with medical bills, even though she had the means to do so. "She probably spends more on dog food than it would cost to make sure her sister gets properly cared for," her brother told the outlet. We can't. 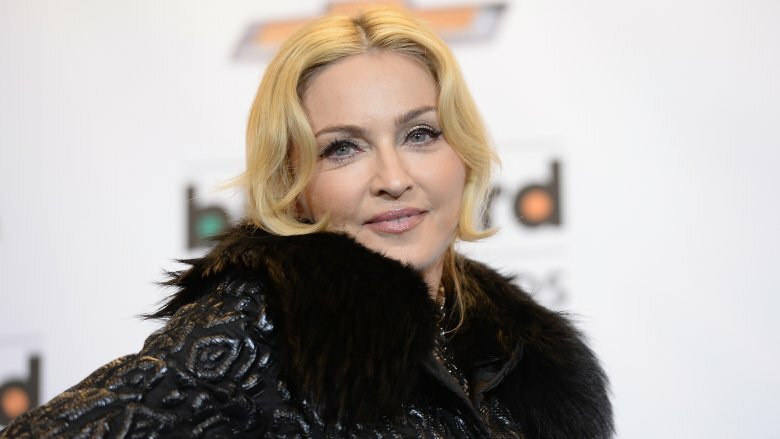 How allegedly self-centered is Madonna? She's apparently so selfish that she once didn't see anything wrong with showing up to a concert over an hour late. Although she blamed her tardiness on a technical issue with the video portion of the show, she didn't exactly exude empathy with her waiting fans. "I don't like to be late by the way, alright? And all you b****es who keep complaining about it can shut the f**k up," she reportedly told the audience, adding (via The Daily Mail), "If you diva b****es want to keep complaining about it, don't come to my show." It doesn't stop there. In an interview with The Guardian, a reporter recalled an incident he had with the pop star that revealed some more troubling behavior. Apparently, he traveled to California to interview Madonna, but she canceled at the last minute with "no explanation." You'd think she'd have been a little nicer when they finally got together, but quite the opposite happened. "She didn't particularly acknowledge me and was rude to her assistant in front of me," the reporter said of Madonna, adding, "At one point I thought I would have to resign. It was disappointing because I admired her so much, but it was stupid of me — you don't admire Madonna because she's nice." Don't be fooled by her sweet voice and cute ponytail — Ariana Grande is said to be a pretty nasty person. On top of wishing her fans would "die" (via The New York Daily News), she allegedly steals ideas from other artistshas subtly licked donuts that were later purchased by customers, and once said that she hates America and Americans — on Independence Day, for Pete's sake! 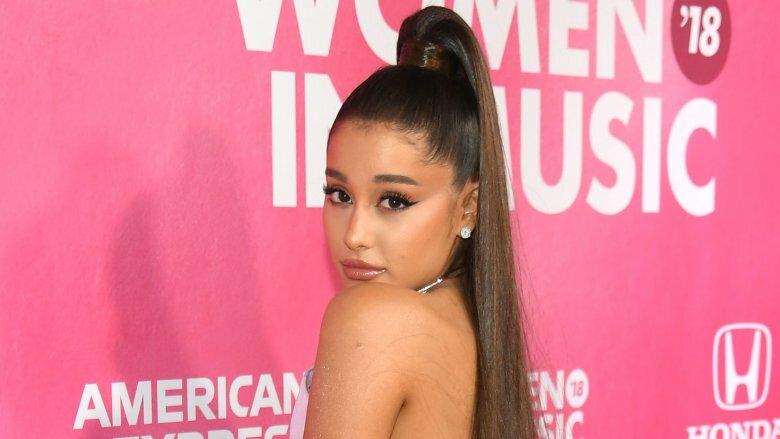 Oh, and don't even get us started on Giuliana Rancic's claims that Grande once nudged her out of the way at the American Music Awards so that cameras could capture her good side (via The Daily Mail). Though Grande apologized for some of those incidents, her alleged obnoxious behavior remains. Her ex-boyfriend Pete Davidson seemingly attested to this, as a source close to the SNL star told People that after their breakup in 2018, "He blocked her and said, 'Stop reaching out. You're not good for my health. I can't have this in my life.'" And others like CoverGirl representative James Charles have flat-out called her rude. She could definitely use a makeover, is what we're saying. And we're not talking about her signature 'do. If this were the early 2000s, people would likely describe Kanye West as a talented kid from Chicago with a heart of gold. Boy, have things changed. These days, the "Can't Tell Me Nothing" rapper is known for assaulting photographers, punching out fiery Twitter rants, and making disparaging comments. From his outrageous commentary about slavery to literally declaring himself a god, we could write a novel of nothing but West's eyeroll-inducing antics over the years. Instead, we'll highlight one egregious example from when he let his terrible flag fly during a Twitter fight with fellow rapper Wiz Khalifa in 2016. Between jabs, West roasted the Rolling Papers rapper for dating ex-stripper Amber Rose, who also happens to be — you guessed it — West's ex. "You let a stripper trap you," West wrote during the string of since-deleted tweets, re-published by The Wrap. He then went on to claim that Khalifa "wouldn't have a child if it wasn't for [him]" breaking things off with Rose. West went so far as to declare, "I own your child!!!!" Rose, of course, has also had a long and complicated relationship with both West and the Kardashians, and she's slung her fair share of mud on each throughout the years. 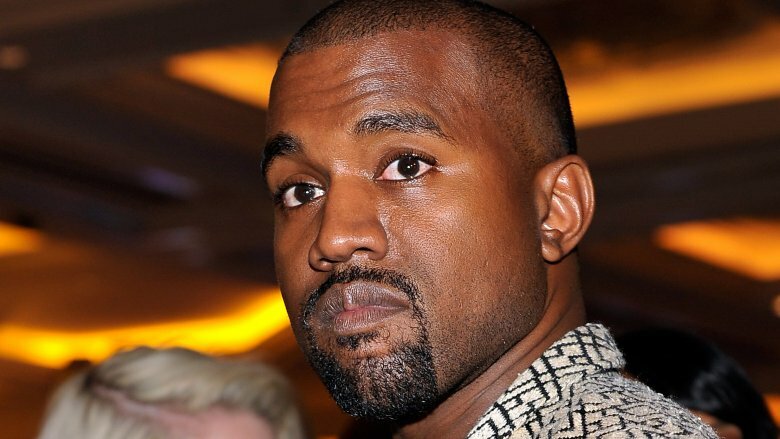 However, West took things right into the gutter when he told The Breakfast Club that he "had to take 30 showers" before moving on from Rose to Kim Kardashian. Who does that? 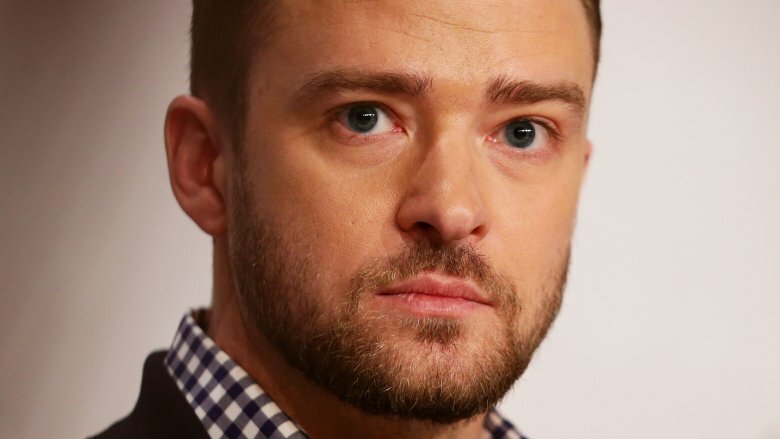 Justin Timberlake probably could have avoided this list if he had just handled the 2004 Super Bowl situation differently. If you don't remember, Timberlake performed "Rock Your Body" with Janet Jackson at the show when he accidentally ripped off a part of her outfit, exposing her breast to millions of viewers watching live. While he pretty much got away scot free, Jackson received overwhelming criticism and was blacklisted, with industry leaders reportedly limiting her album sales and banning her from music events (via People). 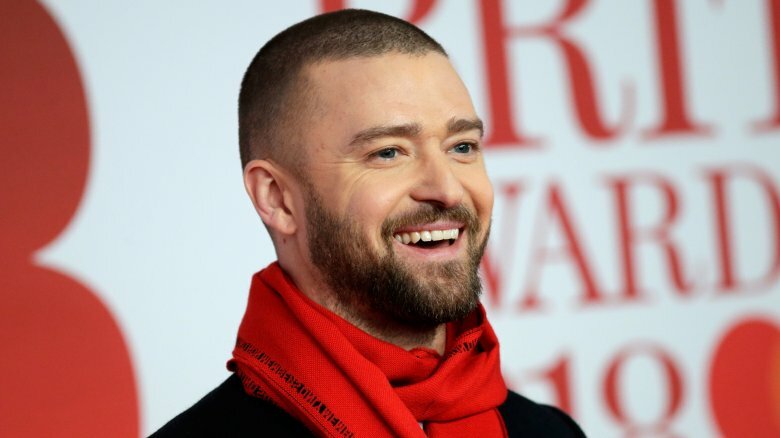 She would later tell Oprah Winfrey that she felt Timberlake had left her hanging "to a certain degree," which especially hurt because they had been "friends." How dare him! While the "Cry Me A River" singer has since admitted to some wrongdoing regarding the infamous moment, he "has not publicly apologized to Jackson for the incident," according to USA Today. We're just saying — wouldn't it have been nice to have seen Jackson join him onstage when he headlined his much-maligned 2018 Super Bowl Halftime Show? Surely, that would have gone along way in putting his secret "bad guy" image to bed.